Kevin Bissette, from Greenville NC killed his first Turkey on May 4th 2018 after passing several jakes over the last 4 seasons. The Tom sported a 10 7/8 beard with 1 1/4 spurs and was taken in North Hampton County. But this story doesn't end there. 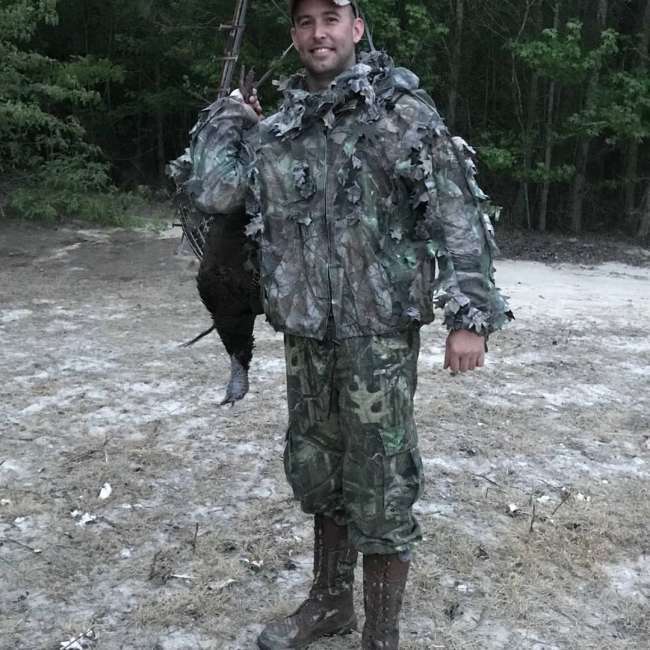 On May 5th, he killed this nice bearded hen in Bertie County which sported an 8 1/8 inch beard. A special thanks to Charles Decker with Blue Dark Outfitters who helped put him on these amazing birds.